GM’s announcement that it will halt production at its award-winning assembly plant in Oshawa, Ontario was hardly a surprise, though it still managed to stun the federal and Ontario governments. 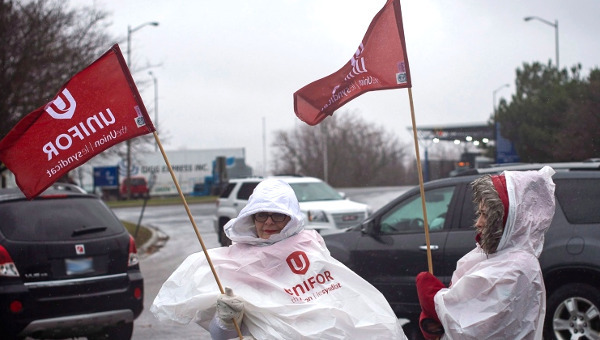 This was not the first time large-scale layoffs affected the GM workforce in Oshawa. Many former workers have completely dropped out of the labour market while others have re-entered the workforce in lower paying, less standardized or non-unionized service sector jobs after the retraining programs promised to them proved insufficient and underfunded. If Toronto was willing to court Amazon (unrequited love is the most painful, we suppose) and Google can rebuild entire communities, surely we can entertain the prospect of an Electric vehicles (EV) and Automated vehicles (AV) hub in the Durham region. But waiting for angel investment on a massive scale would just replicate the dependence on foreign capital that helped create this situation in the first place. Can we not do this on our own? Yes, this would demand large-scale government intervention. But this is always a factor in economic development, regardless of neoconservative claims. 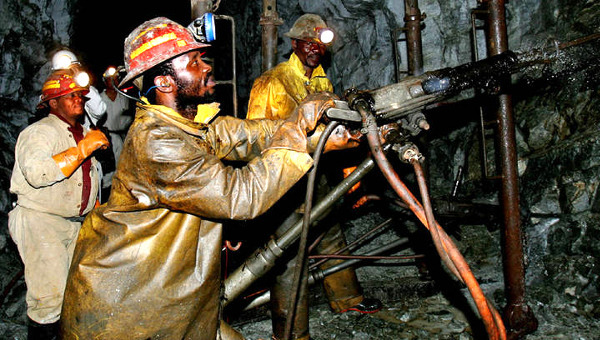 Even the movement of “free” capital is facilitated by the state, which negotiates trade and investment treaties and manages monetary fundamentals through interest rate decisions. Strategizing on the basis of a democratically renewed vision of the public sector should be a priority, not a topic to be avoided at all costs. This is not a call for highly centralized economic planning, however. Rigid top-down bureaucratic structures strangle popular engagement and disconnect economic plans from the communities they are intended to serve. It does entail supporting infant industries in key sectors with the goal of both developing existing economic capacities and building new ones. 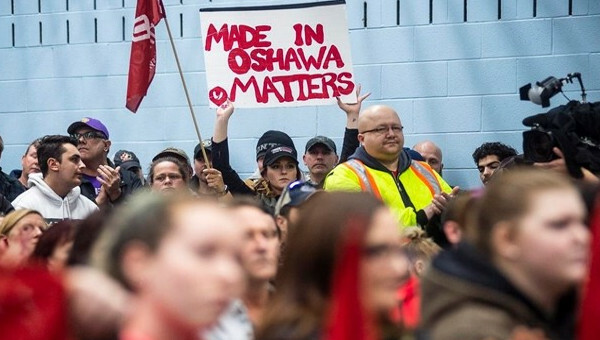 In Oshawa, this means looking forward rather than merely extending platitudes to workers and reproducing the same narrow strategies that have contributed to GM’s long, steady departure. The GM closure can be seen as an opportunity to repurpose a massive assembly plant while taking full advantage of the accumulated knowledge and skills of autoworkers: these are assets to be built on, not relics of a forgotten past to be purged. And such a strategy would involve drawing on the resources of surrounding educational institutions to harness new technological and administrative competencies. Of course, we are quick to point out that the University of Ontario Institute of Technology is particularly well placed to contribute to this hub-style development. 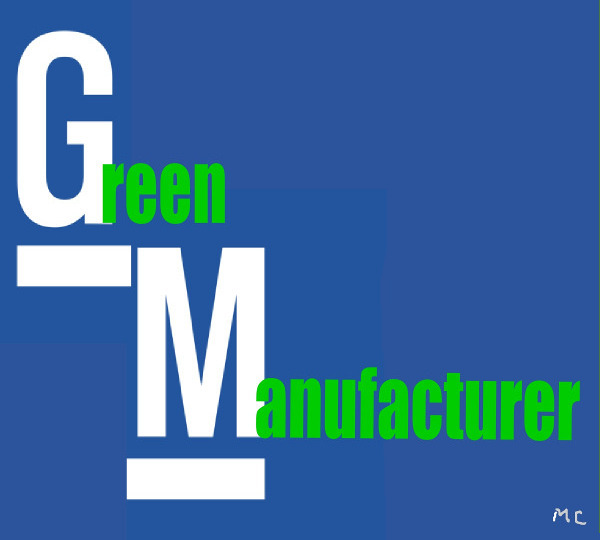 With carbon dioxide emissions soaring and the average global temperature already in excess of 1°C above pre-industrial levels, a comprehensive green agenda based on the decarbonization of the economy is as inevitable as plant closures. 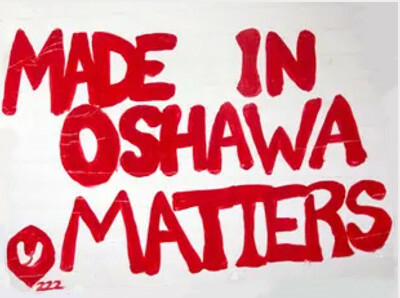 A Green New Deal for Oshawa, Durham, Ontario, Canada that directs public funding toward a post-carbon workforce is not an impossibility if enough stakeholders work together to make it happen. This article first published on the National Observer website. Peter Stoett is Dean of the Faculty of Social Science and Humanities at the University of Ontario Institute of Technology in Oshawa. Follow his tweets at @pstoett. Scott Aquanno teaches political science at UOIT. He has published widely on monetary policy development and the political economy of finance and globalization.